We had out first spring harvest this week: round 8-ball squash the size of tennis balls, dark green zucchinis with flowers still intact and tender green beans that also grew yellow and purple (anything colorful is always a big hit). With only five weeks left in the school year it is too late to start anything new (though you probably could squeeze in a crop of radishes or lettuce). However for school gardens with year round access we’re just getting to the sweet spot. 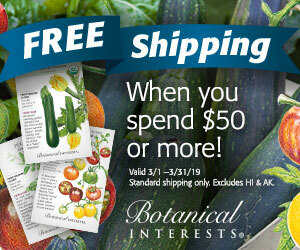 We’re planting heat lovers like tomatoes, eggplants, peppers, cucumbers, melons, pumpkins, and peanuts. Peanuts? I never grew them before, I couldn’t resist. Last week I’m at the Hollywood Farmer’s Market and I happened upon Hayward Organic Gardening’s stall of vegetable seedlings. They were selling peanuts in 4” containers for $3.00 (Note: 3 to a container, if you’re careful with transplanting, that’s only a buck a piece, and you do want to separate them). Peanuts need a lot of room to grow (I’ve seen recommendations for spacing at 18” apart in rows 3ft apart) and they need a lot of time to grow (Days to Maturity is 130-140). If someone didn’t tell me these were peanuts I’d swear they were peas. Botanically speaking they are more pea than nut. Nuts grow on trees, peanuts grow in pods which then get submerged into the soil where they remain until harvest. 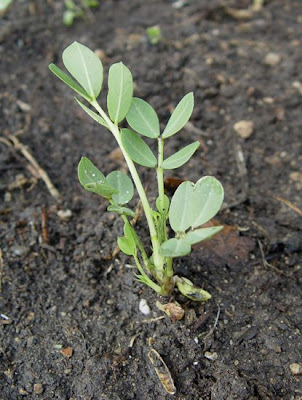 A member of the Legume family, they are a close relative of black-eyed peas. Can’t wait to watch them develop. 3) Can’t talk about peanuts without mentioning George Washington Carver. Any known sources for untreated peanuts in the shell for planting?